Wal-Mart is moving to Chicago's South Side, but not with the sprawling, big-box format it's known for in the suburbs. The mutlichain retailer announced on Wednesday two new locations in the West Englewood area: a mid-sized Neighborhood Market at 76th and Ashland and a convenience store at 83rd Street and Stewart Avenue. 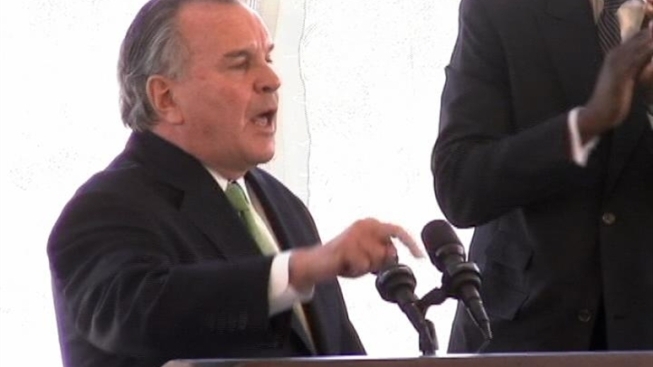 The stores were announced alongside retiring Mayor Richard Daley. Last week, Ald. Howard Brookins confirmed the urban Wal-Mart Express, the smaller of the two stores, will occupy a 10,000-square-foot building. The location will be about the size of a 7-Eleven and carry similar items. It will be the first for Wal-Mart, a concept the company announced last month. The larger Neighborhood Market, similar to what's planned for the Presidential Towers apartment complex in the West Loop, is a condensed version of the larger suburban stores.